And what’s not to love? 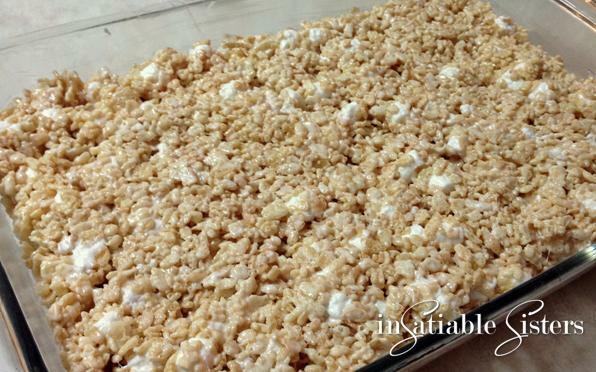 Crispy rice cereal is generously coated in fluffy sugary marshmallows so it’s bound to be delicious. Best of all, they are fast, easy and inexpensive. Yes, they are full of carbs, sugar and delicious full-fat butter. But that’s what dessert is all about! Indulge a little…. OPTIONAL: 1 cup chocolate chips, mini chips, mini m&m’s, caramel chips, etc. Generously grease a 9×13 pan with butter. In a large pot, melt butter on medium-low heat. Stir in HALF the mini marshmallows and continue to stir until they are completely melted and form a gooey cream. Add salt and stir. Remove from heat immediately. Pour cereal into the pot and fold it into the melted marshmallows until all cereal is thoroughly coated with marshmallow. 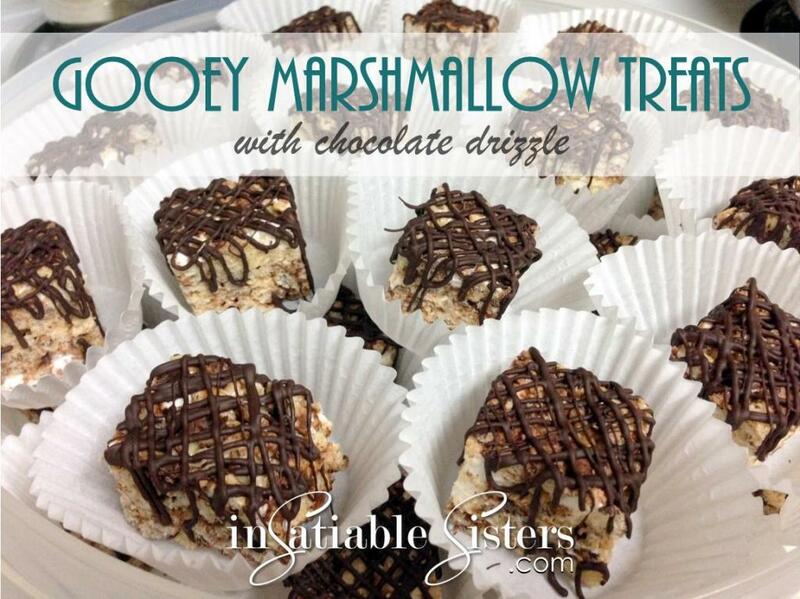 Add the additional whole marshmallows and any optional chips that you want. Quickly fold them into the cereal. 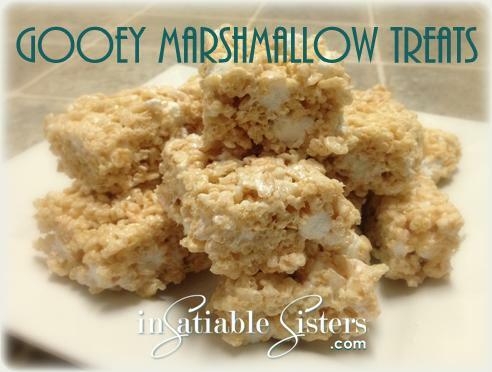 You don’t want this second addition of marshmallows to melt, it’s so delicious when you bite into a fluffy whole marshmallow! Turn the mixture out into your buttered pan and press it flat with clean, buttered hands. It’s delicious when it’s warm, but they will cut much more easily if you allow them to cool completely. *Tip: If you have leftover chips, consider melting them and drizzling over the top of the cut squares. Yum!